I’m still recovering a bit from the weekend…not from partying (those days are behind me), just a busy weekend, lovely Easter day with the family, and a round-trip twice into San Francisco to pick up my great-aunt to bring her to Easter. Mind you, I had a new audio to enjoy so all was well. Here’s the fun part about my trek. I turned my journey into content (hence my content win). I’m not sure how much of it will still be up, but you can check out my Instagram stories from yesterday. I’m committed to documenting more of my journey on different platforms. And remember, it’s about context. What content you share where. Gone are the days of simply republishing things in different sizes. The best part is that you can get way more leverage when you repurpose and share content correctly (one piece of content that can turn into 20+ pieces of content? Without being redundant? Yep). So to start, if you’re not following me on Instagram, click here to follow me on Instagram to watch the process and see my behind the scenes stories. Moving on to WordPress Funnels. If you were to go back a few years it would be rare to hear the words “WordPress” and “funnels” in the same sentence. These are exciting times my friends. The WordPress ecosystem is changing. Quickly. I credit a lot of this to page builders as well as the space maturing in general. You have a lot of tools that make it super easy to create landing pages (which was also not a term used frequently in the WordPress community) and it feels like FINALLY… the pricing structure is changing, more products are being developed that support the business side of things, and the language is evolving. It also means people are going to have to start mastering (or hiring) for tasks they don’t know how to do or weren’t interested in learning (telling stories, writing copy, and getting out from behind the computer). There’s someone in the WordPress space who is doing this phenomenally well. You might know Dave from his recent course on Elementor (which is also being updated for the new Elementor 2.0). Dave had a hugely successful launch of his product for two reasons: It’s an excellent course and he marketed it. Join us tomorrow at 11 am PST in the Content Creators Facebook Group for the live stream with Dave and myself. 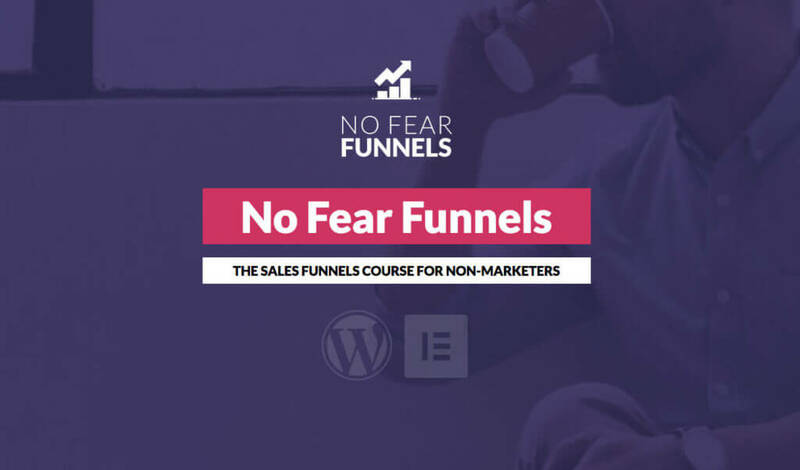 He’s going to explain what ‘No Fear Funnels’ are and how you can set yourself up with funnels on your WordPress site. Now I really need to go get coffee #2!